Evojobs is the official employment website of Evocities. The site lists job vacancies in each Evocity location. 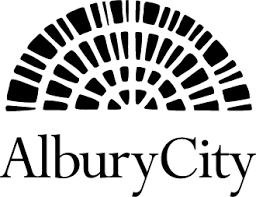 The Evocities themselves are the seven largest regional cities in NSW and incorporate Albury, Armidale, Bathurst, Dubbo, Orange, Tamworth and Wagga Wagga. In addition to listing employment and career opportunities, the website also highlights other Evocity benefits from lifestyle and cost of living to facilities and infrastructure. The overall Evocities marketing campaign was engaged in 2010 to encourage people to live, work and invest in an Evocity location. The name and brand represents Energy, Vision and Opportunity – each fundamental to Evocity living. How is the Evojobs website marketed? Since campaign launch, the Evojobs website has been an integral component of the marketing campaign with research demonstrating the critical importance of employment and career opportunities for those considering relocation. The primary target market was Sydney with promotional campaign elements including radio and outdoor signage. The key message has been a move to a regional city – not the ‘country’ or ‘bush’ – offers benefits matching and in many areas exceeding those of city metropolitan living. This positioning has driven increasing interest and traffic to the Evojobs website. Evocities marketing messages are also pushed through digital channels such as search, display and social media with these online 24/7 every day of the year. Extending its primary market beyond Sydney, Evocities marketing now also targets the eastern capital cities of Melbourne, Canberra and Brisbane. Major job aggregators such as Adzuna and Jora also re-publish job listings from the Evojobs site. How many visitors are there to the Evojobs website? The Evojobs websites were launched in September 2010. How much does it cost to list a job vacancy? It costs nothing to list a job vacancy on Evojobs and the site operates with the full support of all Evocities locations and their respective Councils. The fundamental objective of the site is to assist potential re-locators find suitable employment or business opportunities in one of the Evocities. As a key part of the on-going Evocities marketing campaign, the Evojobs site is central to promoting and providing employment opportunities and showcasing each Evocity as a location of true and diverse employment opportunities. Employers can choose to feature a particular job listing on the Home Page of Evojobs. This ensures the listing is front and centre for the 18,000 + potential candidates visiting the site every month. This option costs $200 per month, per job and includes promoting the specific vacancy to the Sydney, Melbourne, Canberra and Brisbane populations (as appropriate). Are there Incentives to help me Attract Skilled Workers to our Region? 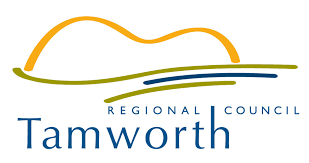 The NSW Government has established the Regional Skills Relocation Grant to increase the availability of skilled workers for existing businesses in Regional NSW or businesses looking to set up in Regional NSW. Approved businesses will be reimbursed up to $10,000 per employee to assist with relocation costs incurred by eligible skilled workers they employ. The NSW Government has committed $10 million for applications over the next four years with $2.5 million available each year.